A double-deck tour bus with 50 students and teachers crashed into a roadside rest pavillion in Nakhon Luang district of Ayutthaya before dawn Thursday injuring 39 people, one seriously. The bus was taking 50 students and teachers of Ban Nonyai school in Kamphaengphet province to Chonburi province in a school excursion. The bus left Kamphaengpet at 11.00pm. 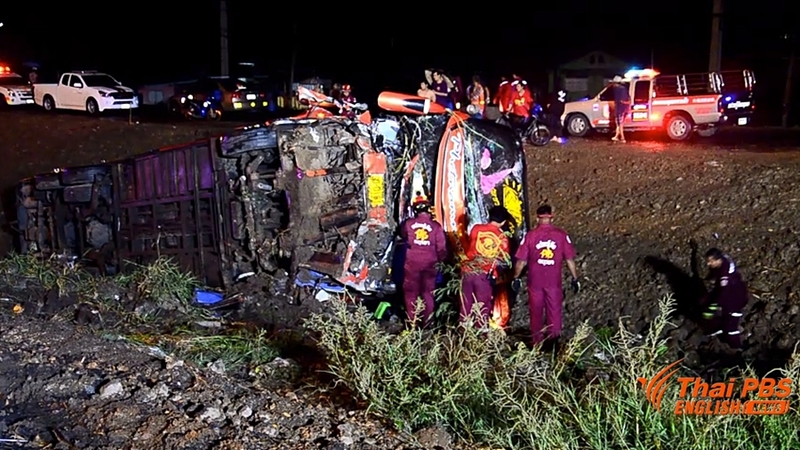 But as the bus arrived near Kilometre 26 on the Asian Highway in Nakhon Luang district where it was raining, it skidded. 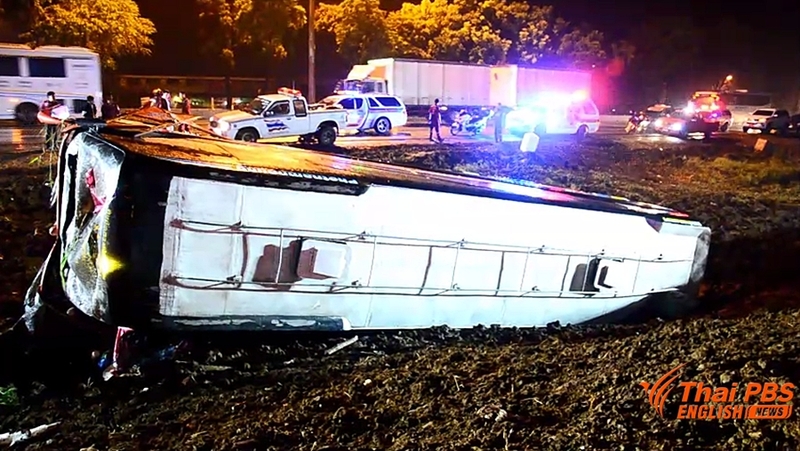 The bus then fell off the highway, flipped over and ploughed into the roadside rest pavillion. Of the 39 people injured, 16 are boys, 22 girl students, and teachers They were slightly injured. Only the bus driver Chavalit Yooyuen, 45, was seriously injured. They were all admitted to Somdej Phrase Sangkharaj hospital. A student said there was rain along the way from Kamphaengphet. 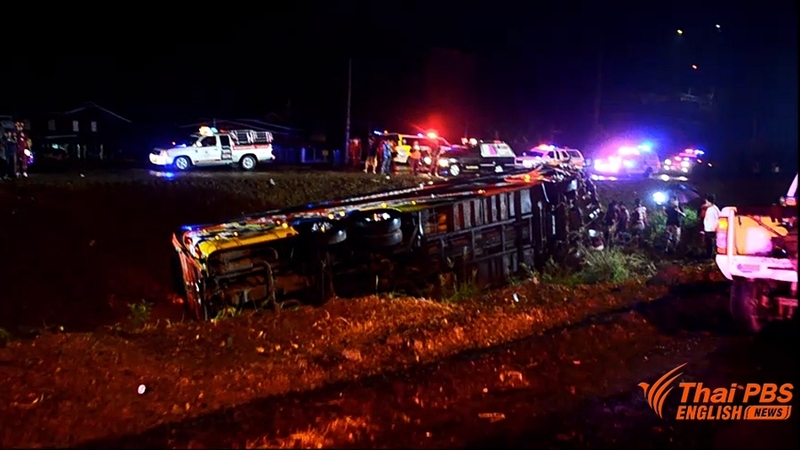 He said all were asleep when the double-deck bus arrived at the scene and lost balance and fell off the road. Initial investigation by police suggested slippery surface of the road during the rain might be a cause of the accident.